About a month ago we told you about the Mega Man Robot Master Field Guide from UDON Entertainment, which is packed with facts about the series and its characters. The blue bomber is famous in a lot of places, with a new book just released in Thailand to give fans in the region their own comprehensive tome on all things Mega Man. The Legends of Rockman, as he's known in that part of the world, seems to have all the series information that a fan could need. 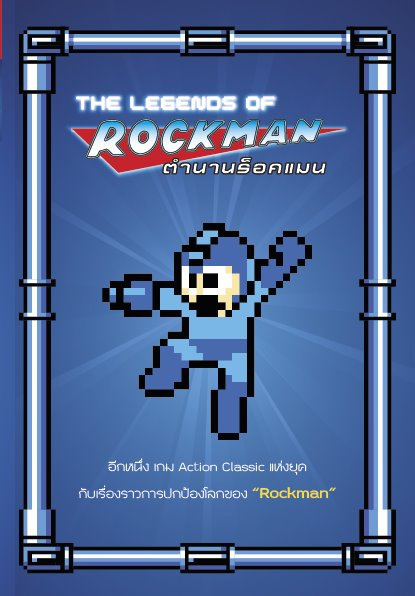 Published by Thai Gaming Network, it's very unlikely that this book will ever make it to the West, but it's good to see that the Capcom icon is being shown love worldwide. It's a big anniversary year for the franchise: Capcom won't leave us without something new to play, will they? Just like Sonic...Mega Man is dead! Yes, they will leave us without something new to play. Mega Man is dead - these illustrated books are all we have left to remember him by. I miss the blue bomber's heyday. "Capcom won't leave us without something new to play, will they?" I fear they will! Hopefully I am wrong! Damn you Capcom! Give us more Megaman! If not, keep those independent fan made games coming. The level designs are superb.